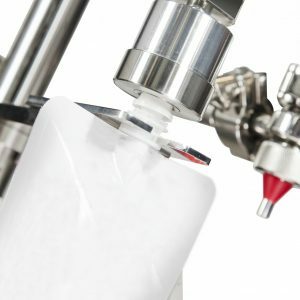 PMR » News & Events » Product News » Efficient Packaging. 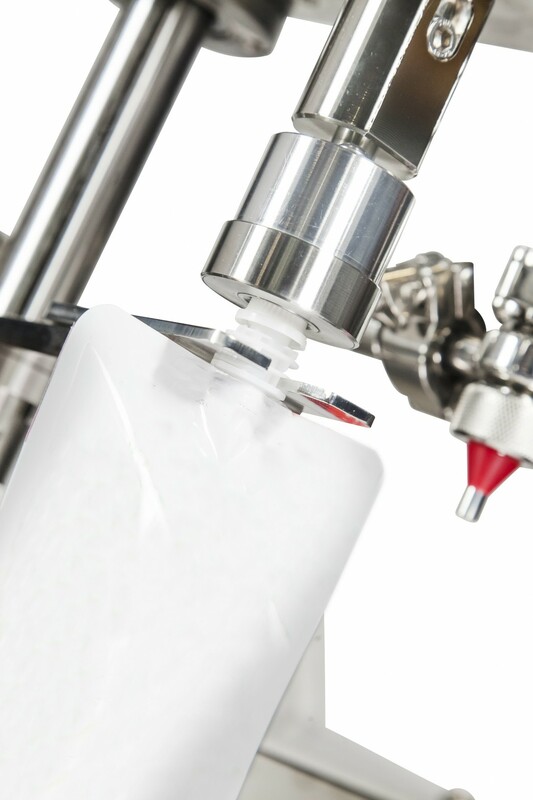 Filling and capping for doypack pouches. 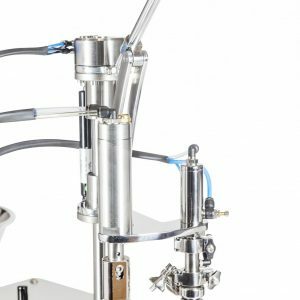 PMR could not fail to have a solution for this innovative packaging: we presented at Cosmoprof 2018 a semi-automatic machine that allows the filling and capping of Doypack type flexible pouches. Doypack is the perfect packaging to be displayed in stores thanks to its shape that allows it to stand straight and clearly visible. The Doypack pouch is suitable for any kind of product, moreover it uses about 75% less plastic than a rigid container of the same capacity. 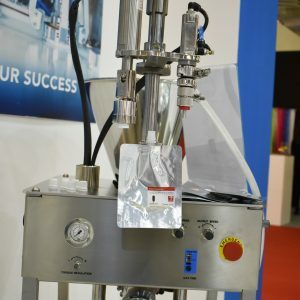 There are further advantages: such as the fact that a large printing area can be added and that it has a lower production price compared with alternative packaging systems. 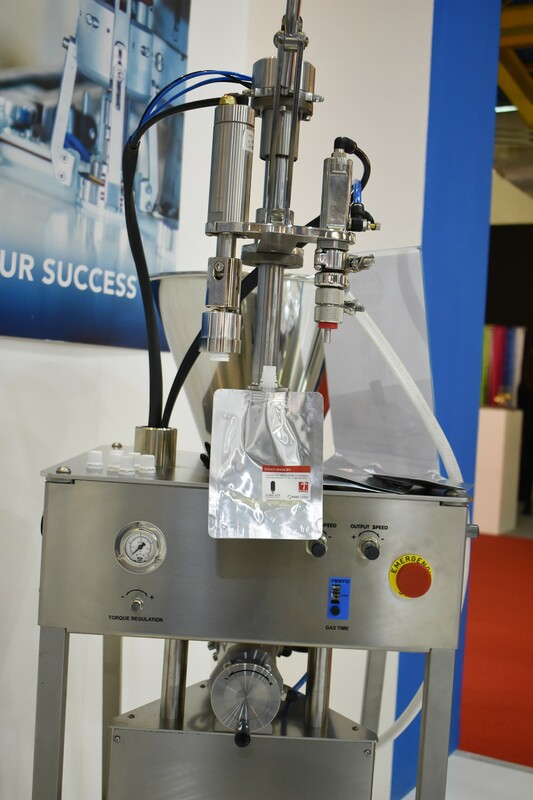 PMR therefore has in its product range a pneumatic device for packaging Doypack type bags: the machine is equipped with a volumetric piston filler with a dosing range from 5 to 260 ml (as option, the filling unit is available with dosing range from 20 to 680 ml or from 50 to 1300 ml). 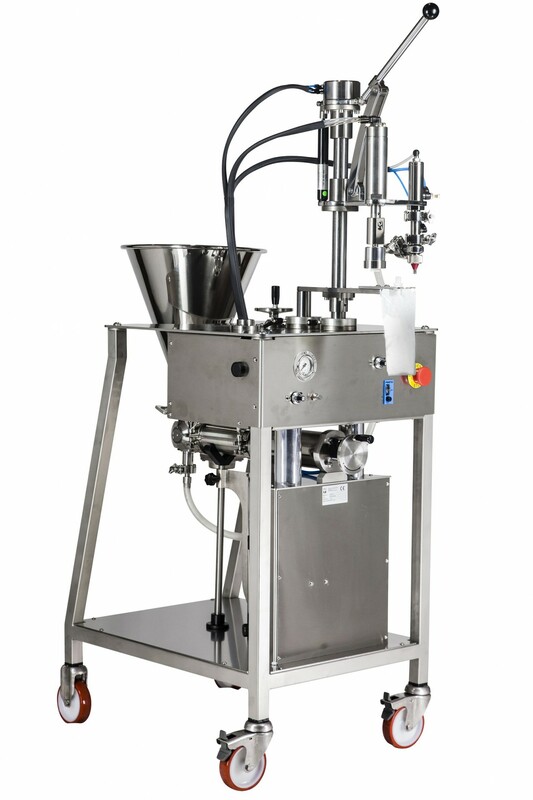 This volumetric dosing unit is also able of filling viscous products containing solid particles or soft fibers in suspension and is also suitable for hot filling (100 ° C). 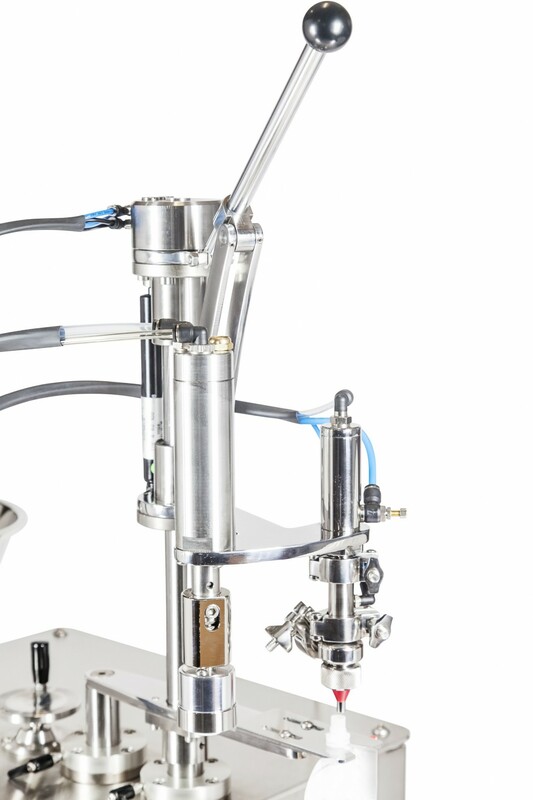 To close the pouch there is a screw capping system for plastic caps, the cap is tightened by a pneumatic motor with torque adjustment. 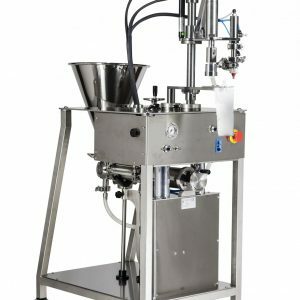 All the parts in contact with the product are manufactured in AISI 316L stainless steel, suitable for contact with foodstuffs. Come and visit us in our Show Room in Bovisio Masciago, we will show you how this innovative solution works.